Blogging is very popular nowadays for many reasons. Others are into blogging because writing is their passion. Blogging for them is a hobby, in blogging you will meet different personalities which then later blossom into friendship. You can also share your point of view and join forums and discussions on the web. Blogging as a source of additional income and a lot more. You may know some people now who are into blogging and some of you might want to try and start a blog but don’t know how. A lot of my friends are asking me what is a blog? how to start a blog? and what is blogging? A blog is a website that is use to share opinions, discussions and any online journal which enables readers to comment on any post or articles. A Blogger is a person who maintains or updates a blog. 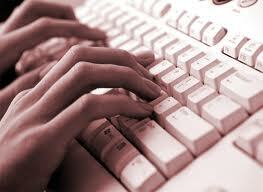 Blogging on the other hand is the act of publishing a blog, or writing a new entry. Anyone can start a blog all you have to do is to choose between these popular providers like LiveJournal, Blogger.com, WordPress.com, Xanga and Webs. Register now and follow the steps provided. Don’t worry about your design for ready made templates are provided. You can add free blogging freebies like tag boards, imoods, buttons. etc. It’s up for you if you change it later to make it more personalize. There are many sites that offers free templates like free blogger templates. You can also chose if you want your blog to be public or private. After setting up your blog you may now start writing your posts. Before anything else be sure to know what you want in your blog. Decide the title first so that you will not end up thinking until you realized you wasted your time. It’s a fact that at first, it will seem tough to figure out what to write, but once you get into the habit of daily blogging, you will find it addictive. You can write as many topic as you want or anything you are interested in. Write about your day, your thoughts, events, ideas, fears, pleasures, the news, current affairs, art, etc. Blogging is not just all about writing or updating your blog. You have to visit other blogs/websites to build blogging circles. Be sure to leave your url when you join any forums/discussions and when you visit other sites or blogs so that others may notice and visit you back. This is one way to get traffic to your site. Now that you have a blog you may explore sites that offers tutorials and information on how to make money on line and from your blog to make blogging more exciting!